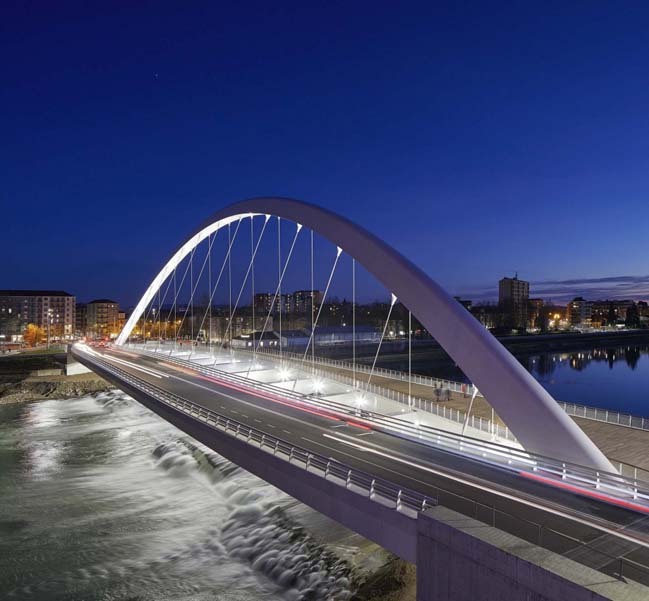 Richard Meier & Partners Architects redesigned the Cittadella Bridge in Alessandria that has new bridge design is integrated with the proposed reconfiguration of the adjacent Piazza Gobetti. 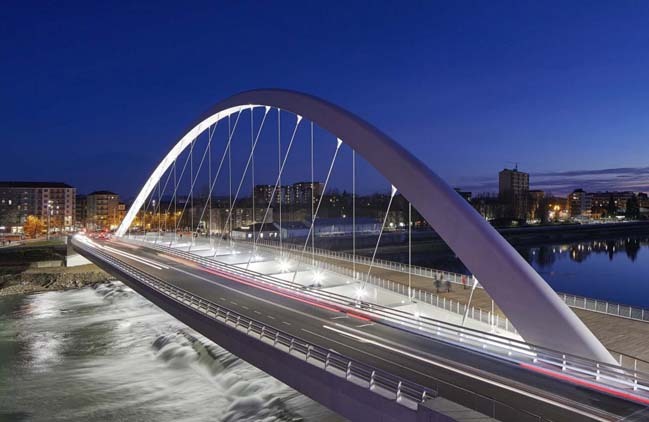 From the architects: Repeated flooding along the River Tanaro confirmed the need to replace the original Cittadella Bridge dating from the Napoleonic era. During the floods of 1994, the water level rose to cover the roadway, and the piers of the bridge trapped much of the debris in the river, effectively acting as a dam. 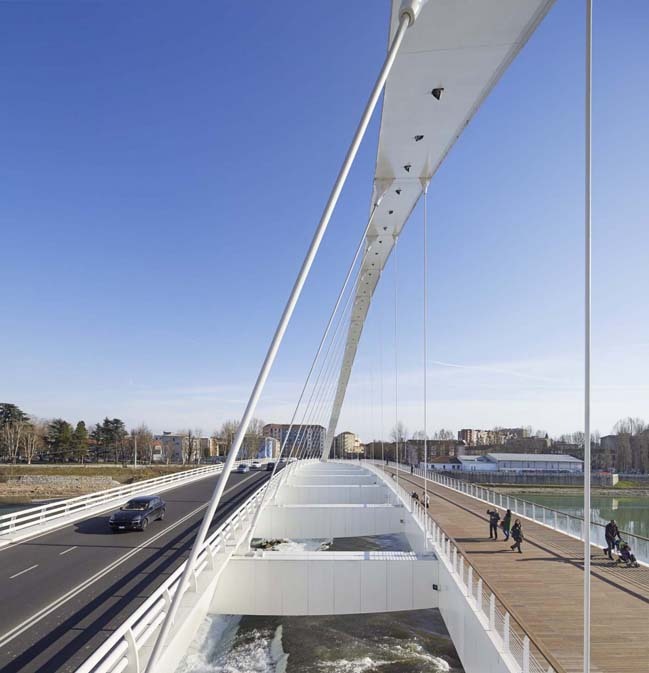 The new design, a single span raised above the flood plain, not only eliminates the possibility of such obstruction recurring but also enhances the natural flow of the river. Since traffic on the old bridge made it unsafe for pedestrians, the new bridge provides separate but structurally connected spans for pedestrian and vehicular circulation.